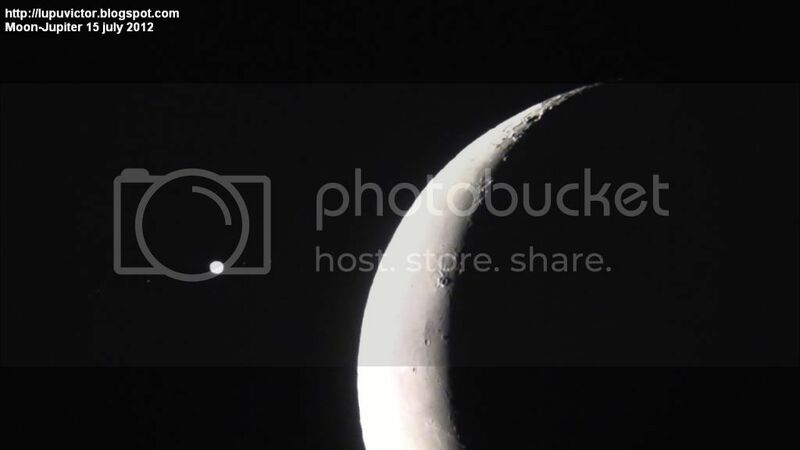 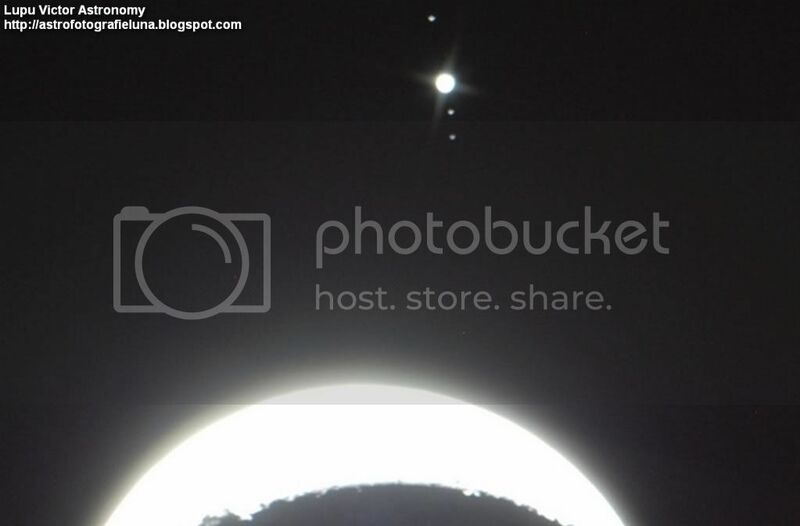 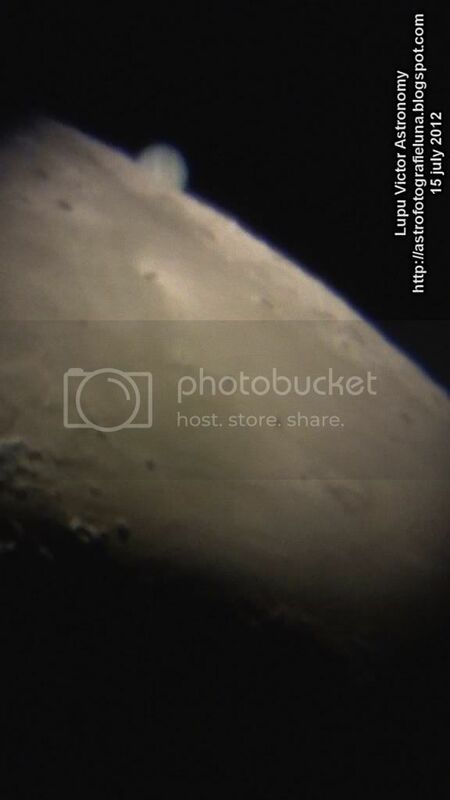 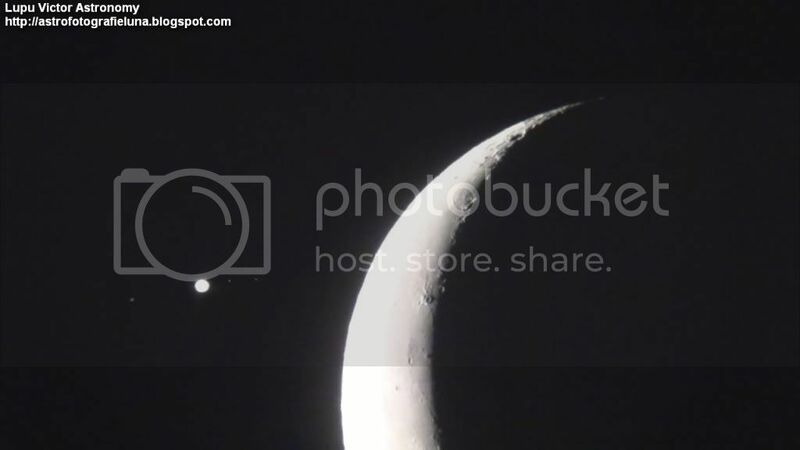 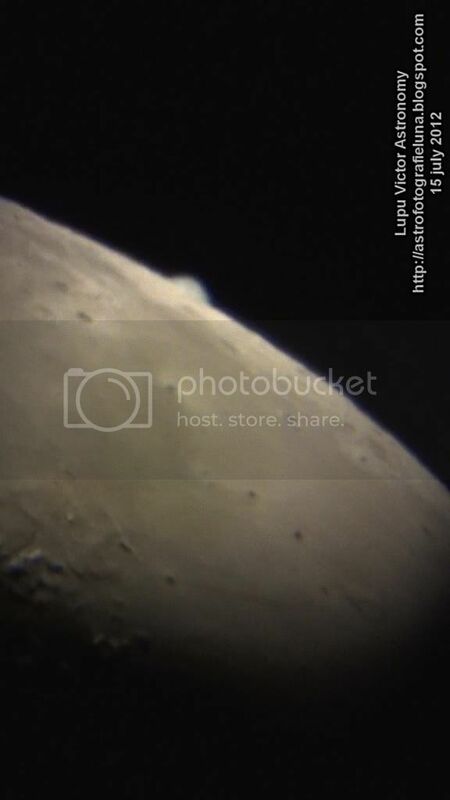 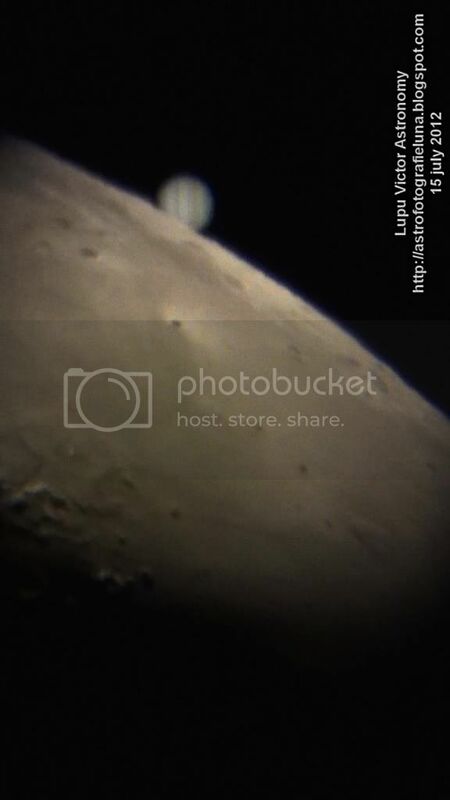 Above are cropped pictures taken with Nikon D80 , and the full images are presented in the article: Moon and Jupiter July 15, 2012 Telescope pictures with Nikon D80 . 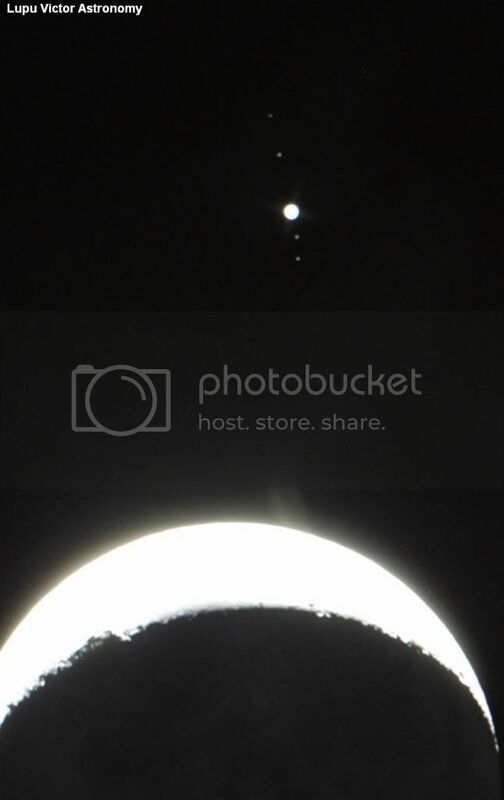 Conjunction and occultation of 15 July 2012 took place the morning, before sunrise, at 4:20. 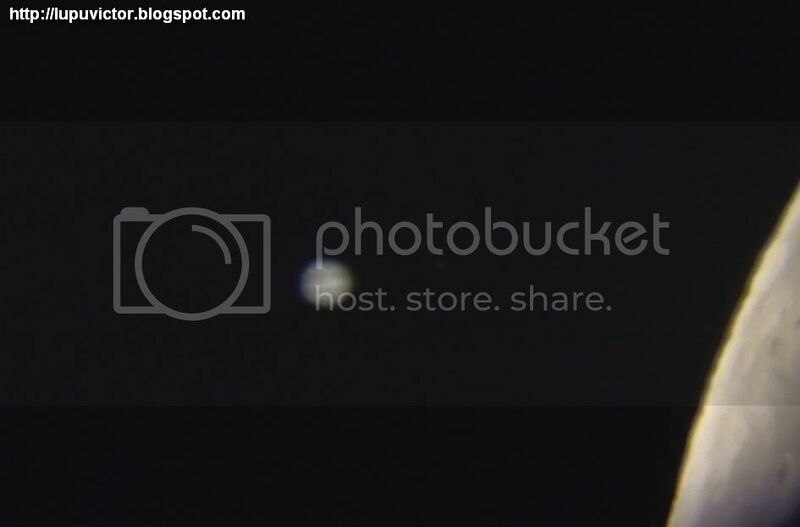 Here are presented captures of the videos posted in another article, except for the first photos above, which are made ​​with DSLR Nikon D80. 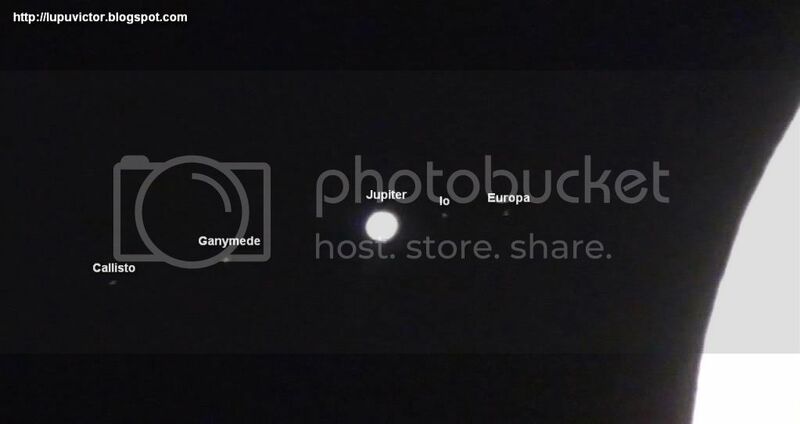 Have passed behind the lunar disk in their order, first satellites (moons) Europe, and Io, planet Jupiter, then followed by Ganymede and Callisto. 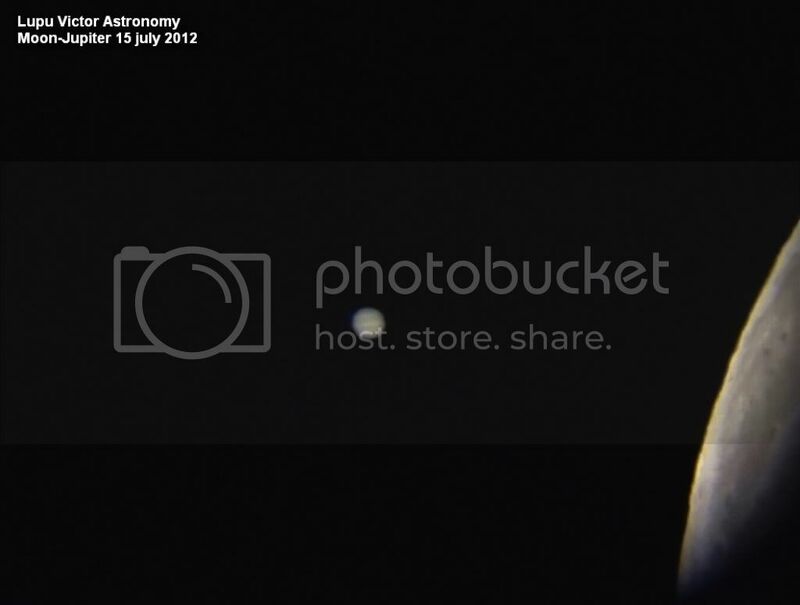 I've captured the clearest images from the video, with the lowest atmospheric turbulence. 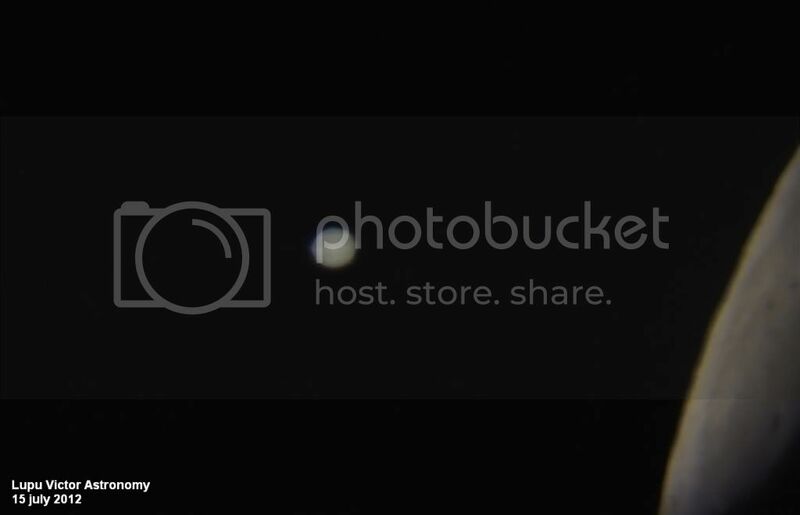 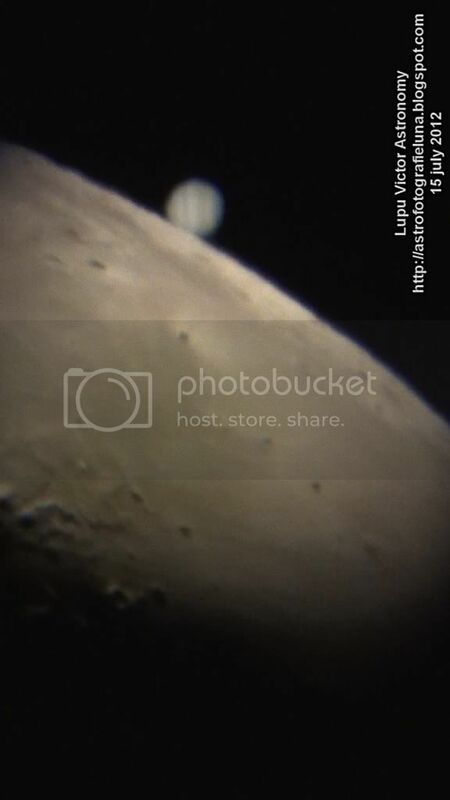 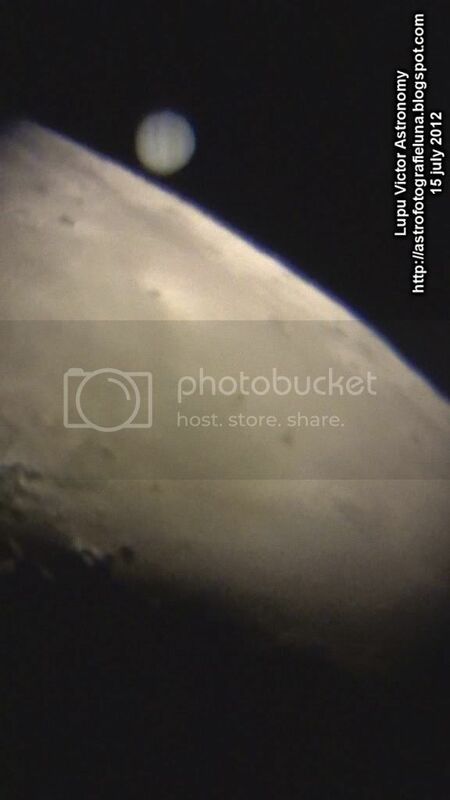 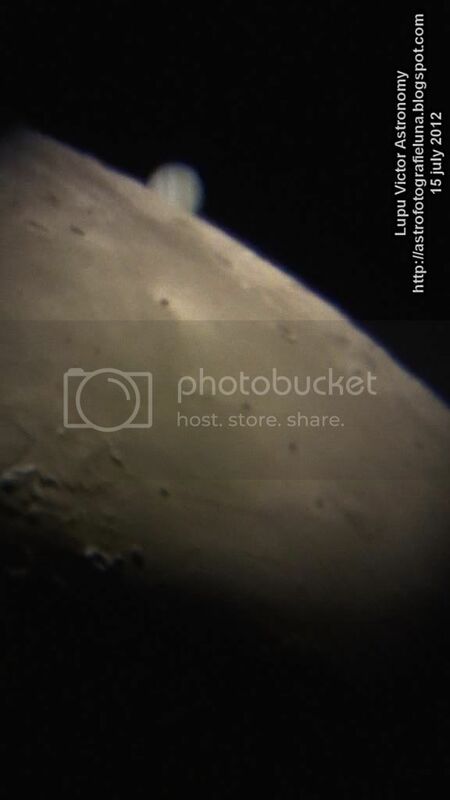 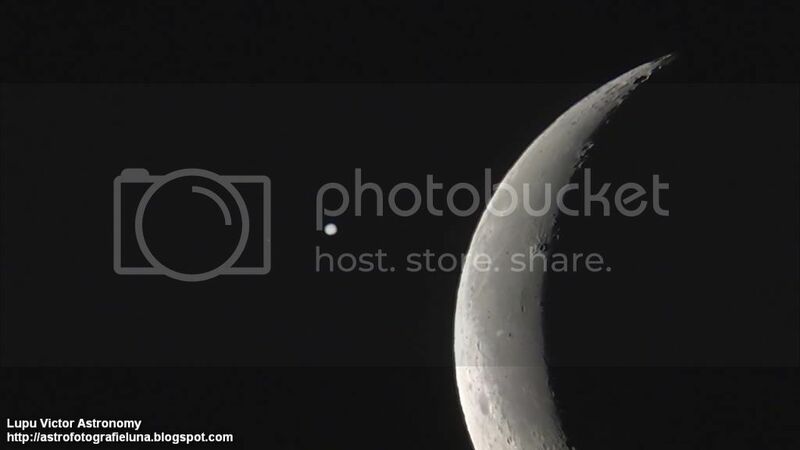 In the photos above we see the momentum of the Moon interposed over the planet. 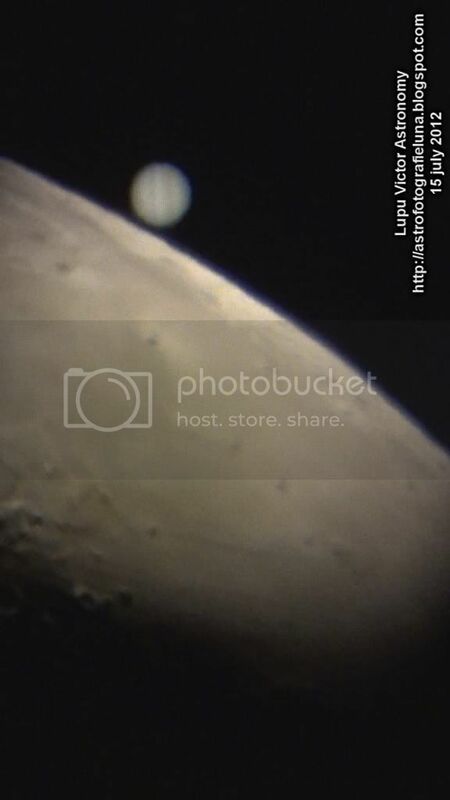 Although it seems that Jupiter comes to the Moon, the Moon is actually guilty. 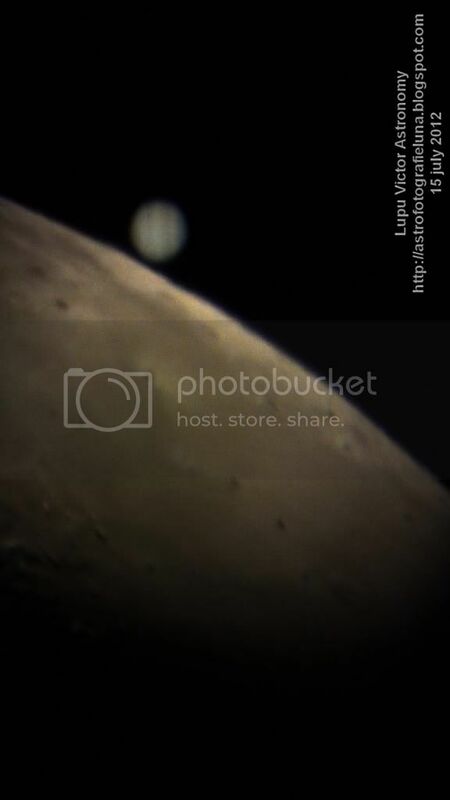 Jupiter is too far to see a change in the revolution movement, compared to the Moon that is so close to us. 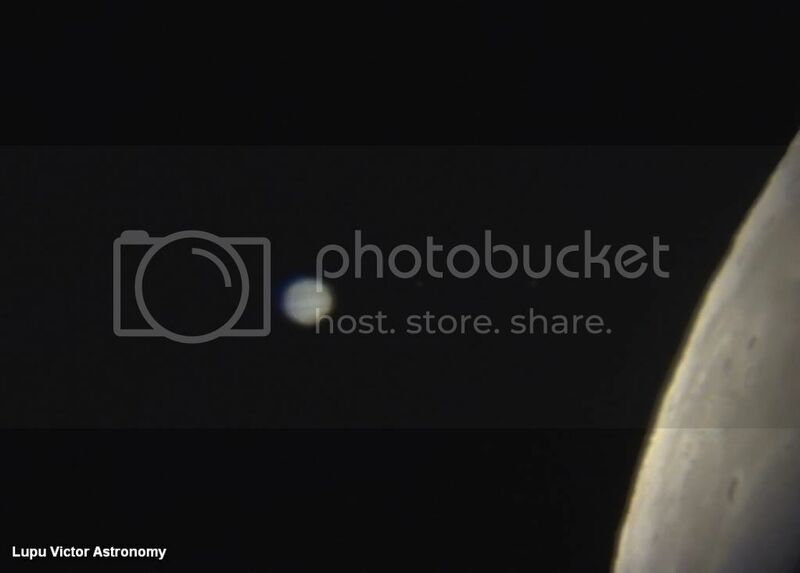 In addition, it takes 11.86 years for Jupiter to revolve around the Sun, while for the Moon it takes 27.3 days around the Earth. 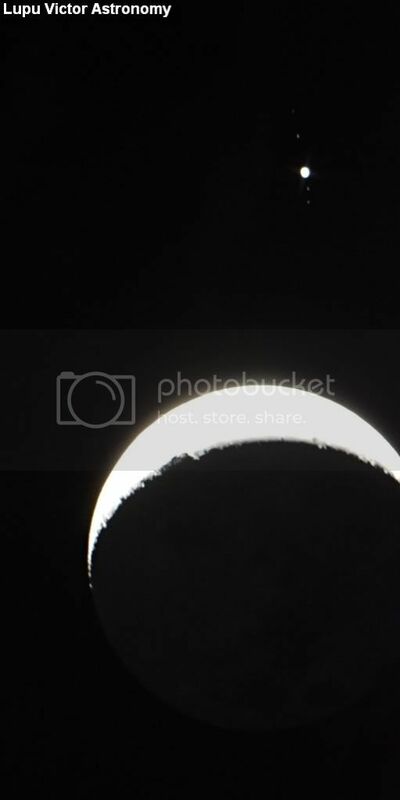 Astronomical Calendar 2016 astronomy events.